If you've been tasked with booking your next business event, find the perfect conference venue for small or large functions in South East England. 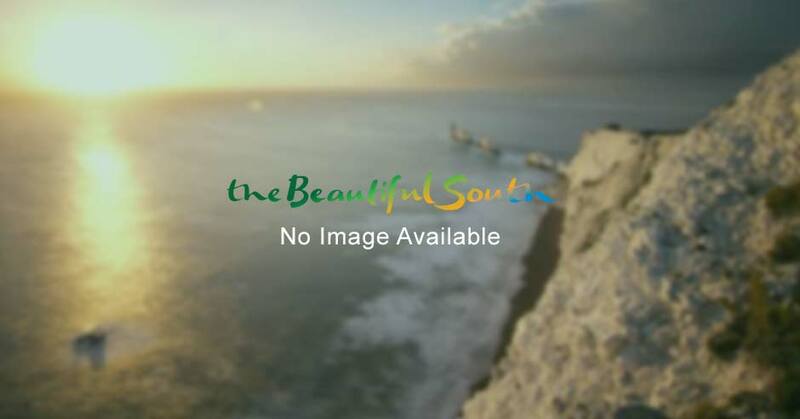 From Kent's 'Garden of England' to the rolling landscape of the South Downs National Park – taking in the cultural diversity of Brighton and intellectual spires of Oxford – the Beautiful South ensures your day will go off without a hitch in some of the UK's most inspirational meeting settings. Whether it's state-of-the-art meeting rooms or conference facilities in hotels for overnight accommodation, use our search functionality to see what's available to hire near you. Many locations can be reached in the time it takes to get across London and come without the capital's price tag. If you have a destination in mind, but would like expert assistance in choosing the ideal facilities for your needs, our list of Conference Bureaux in South East England offer free venue finding services. Alternatively you can find even more conference and event venues in and around South East England on the Meet Beyond London website. Guildford is just 40 minutes from London by train, and within easy travelling distance of London Heathrow and London Gatwick, making it the ideal spot for your conference or meeting whether you need to bring together 10 or 1000 people. Located in the Old Town, this 15th Century timber-framed building provides a wonderful setting for ceremonies. With its vaulted ceilings and exposed beams, the hall has been restored to create a venue with outstanding character. Destination Southampton offers a free venue finding service for conferences, events and parties, as well as accommodation bookings. Contact our experienced team to assist you with any enquiry on 0845 226 9944. Stanmer Park , just a stone's throw away from central Brighton. The majestic white building of Malmaison’s hotel in Cheltenham looks right at home just around the corner from the serene Montpellier Gardens, with the restaurant boasting a glass conservatory, courtyard and beautiful terrace. Salter's Steamers operate large traditional vessels on the River Thames from all locations such as Windsor, Runnymede, Staines, Maidenhead, Marlow, Henley, Reading, Wallingford, Abingdon and Oxford. You’re guaranteed a warm welcome at this friendly museum that is packed with so much to see! The historic Domus, one of the original buildings of Beaulieu's picturesque 13th century Abbey provides an enchanting and unique setting for your wedding day. From the Griffon Rooms' large balcony, the happy couple can fly our birds of prey or enjoy a glass of champagne with their guests. Whatever the event you are organising, from conferences to concerts, parties to shows, Worthing Theatres can help provide you with the right venue, at the right price, with all the back up and support you need. The Grand, Brighton is ideally located on the seafront and the city centre, adjacent to the Brighton Centre and only a short distance from the railway station, so is the ideal solution for large events that demand flexibility and service. St. Mary’s House is an enchanting Grade I Historic House situated in the downland village of Bramber. It is surrounded by formal and topiary gardens with pools and fountains. The romantic surroundings make it a perfect venue for weddings.